The stars of Tim Burton's stop-motion animation holiday classic The Nightmare Before Christmas, come alive with Diamond Select's Deluxe Doll line! The memorable scene where we meet Jack's trusty pet is beautifully captured in this deluxe doll. 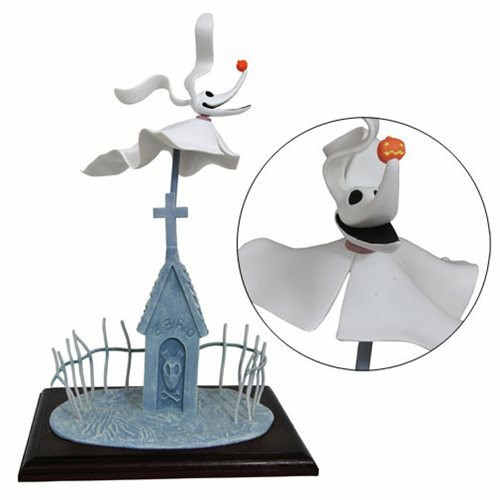 Zero's ghost body is made from cloth and is featured over his dog house-shaped tombstone. Grow your Halloween Town with this Nightmare Before Christmas Zero Deluxe Doll! Ages 8 and up.